SKF NOTE: I love these little factoids, these little cobblestones making up the miles of road traveling through the History of Drumming. Thank you, Jim Clash. JC: You were inducted into the Rock & Roll Hall of Fame in 1993, with Cream. What do you think of Ginger Baker as a drummer? 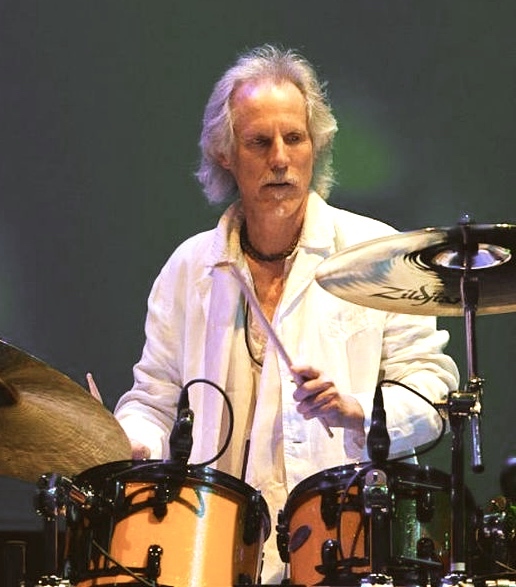 John Densmore: Unique, really great, and really full of himself too. I did an interview with him one time and the guy asked Ginger, ‘What did you think of John’s drumming?’ And Ginger said, ‘Let me put it this way: We were The Cream.’ Well, screw you too [laughs]. But let me also say I stole a Ginger beat – just a couple of bars – in Hello I Love You. Robby [Krieger] said, ‘Why don’t you do something like Sunshine Of Your Love where Ginger turns the beat around?’ That was real cool, so I copped it! JC: Did you say anything to Ginger at the RRHOF induction ceremony? This entry was posted in Drum/Music News and tagged Cream, Drummer, Ginger Baker, Jim Clash, John Densmore, Scott K Fish, The Doors. Bookmark the permalink.